The letter was presented this week at the International Joint Conference on Artificial Intelligence in Buenos Aires, and advised against militaries engaging in an AI arms race. “Artificial Intelligence (AI) technology has reached a point where the deployment of such systems is — practically if not legally — feasible within years, not decades, and the stakes are high: autonomous weapons have been described as the third revolution in warfare, after gunpowder and nuclear arms,” the letter states. Despite their idealism, the researchers are not pushing for an end to all warfare, but rather seek to ensure that the choice over life and death is made by human controllers. The letter says the onus lies with major military powers not to pursue the development of autonomous weaponry. “If any major military power pushes ahead with AI weapon development, a global arms race is virtually inevitable, and the endpoint of this technological trajectory is obvious: autonomous weapons will become the Kalashnikovs of tomorrow,” it states. It is not the first time either Hawking or Musk have expressed strong caution around AI technologies. Signatories of the letter included Apple co-founder Steve Wozniak, Google DeepMind CEO Demis Hassabis, professor Noam Chomsky and Google Director of Research Peter Norvig. “We believe that AI has great potential to benefit humanity in many ways, and that the goal of the field should be to do so. 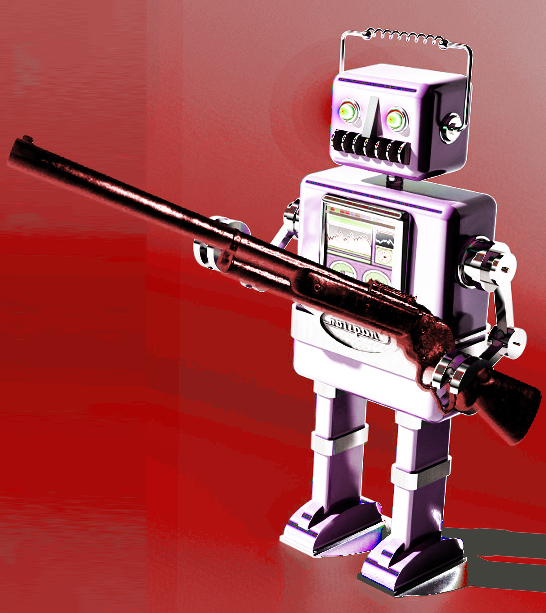 Starting a military AI arms race is a bad idea, and should be prevented by a ban on offensive autonomous weapons beyond meaningful human control,” the letter said. It is available in full, here.